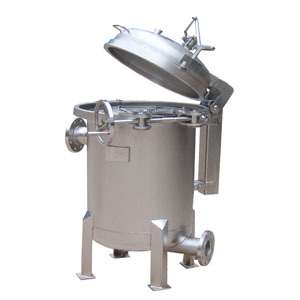 Stainless Steel Bag Filter Housing are full 304 or 316L stainless steel structure, it is a common type of stainless steel filter housing. Wellgreen provides various designs of bag filter housing, such as top-entry single bag filter, side-entry single bag filter, multi-bag filter etc. 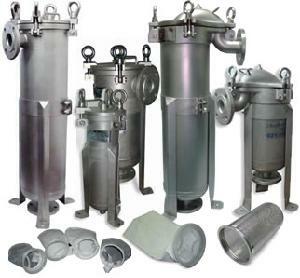 We also accept customized fabrication on request for water, oil, air, chemical, Wellgreen is your reliable solution for stainless steel bag filter housing and assembly. Muti-bag filter housing is mainly used for filter the impurities of water, oil and chemical etc. The liquid bag filtration assembly is effectively for removing dirt, tube scale, and other contaminants of process liquids such as water, beverage ,chemical and petroleum products. The current filter bag is #1 and #2, and supporting with a stainless steel filter basket strainer. The filtering area of this bag filtration assembly is rather big, the filtering efficiency is very good; Eyebolt can be used friendly, it is possible to reduce the filtering cost of high volume very much. The Max flow of single unit are from 90 cubic m./h to1,080 cubic m./h, it is the idea choice for multiple applications and processes. Bag filter can be used for food and beverage wine industry and meet sanitary grade requirement. design, to eliminate the waste of filtering space. Open the top cover to replace the filtering bag quickly. It is different from the traditional design which need to remove the filter bag squeeze ring before replacement, our side-entry single bag filter housing will reduce the probability of secondary pollution. Wide and smooth liquid inlet, partial pressure automatically after the liquid enters. Small impacting of the filter bags, it can be protect the filter bags to avoid accidents. The design is small pressure losing, filtering fastly and steadily. The filter bag using patented collar to fit closely with the filter housing, not loosen, multi-sealing, good seal effect. Food filtration, chemical filtration, oil filter, paint filter ,activated carbon pre-filtration and so on. 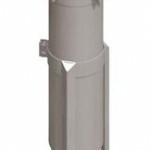 Our top-entry single bag filter housing is a novel structure bag filter housing, it is a multi-purpose filter housing and with the advantages of small size, operated easily, energy saving, high efficiency, enclosed space working, well-adapted etc. 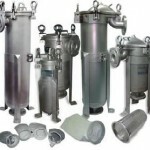 This filtration assembly is a pressure type filtration equipment. The liquid enters fitering bag through the side inlet tube of filter housing, the filter bag installed in the reinforcement mesh, to get the qualified filtrate after the liquid permeated the demanded fitering bag – the impurities and particles filters by the fitering bag. Fitering bag fixed by single and positioned automatically. Sealing type safety and reliable, no leakage. Big volume mesh basket inside, it can extend service time of fitering bag effectively. Connection End Threaded or flange to JIS, ANSI, DIN, BS etc. 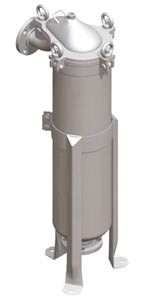 System cartridge filter such as NF, UF, RO, ED etc. Medicine injection, infusion solutions, eye drops and the extracting, purifying, enriching of biologicals. Pre-filtration of industrial high purity water for micro-electronics, semiconductor etc. Oilfield reinjection water, boiler feedwater, chemical reagent, farm chemical etc. Purified water for drinking, fruit juice, beverage industries. * For more information of Stainless Steel Bag Filter Housing and Assembly, please contact us.